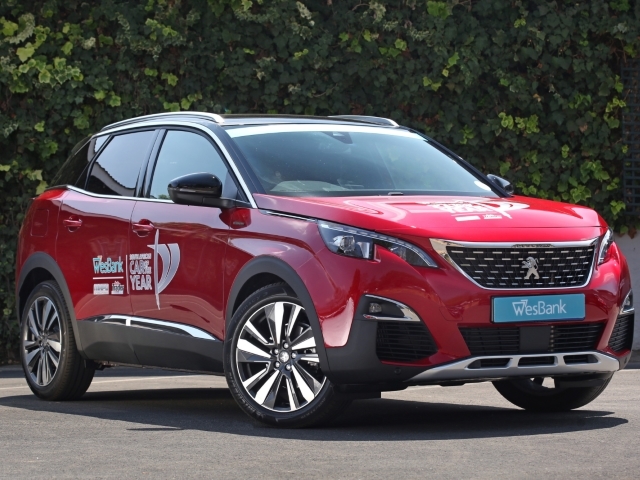 Peugeot Citroën South Africa is delighted to announce that the Peugeot 3008 SUV has been selected as a finalist in the 2018 Wesbank South African Car of the Year competition at a function held at the Bryanston Country Club. Ten of the most impressive vehicles in the country, voted by a panel of 26 judges from the South African Guild of Motoring Journalists were chosen from 21 semi-finalists. The finalists were introduced one by one by Carte Blanche’s Derek Watts while representatives from various manufactures held their breath in anticipation. “Peugeot made a decision to demonstrate their ability to produce premium finishes, and never has it been more evident than in the new 3008 SUV. They’ve achieved a vehicle that outshines many of its direct competitors which we believe is one of the reasons it was chosen as a finalist in this prestigious competition.” Francisco Gaie, MD of PCSA said. “The public seem have taken a real shine to the trend of the SUV. The all-new Peugeot 3008 SUV, whilst taking on the SUV characteristics, has retained its spacious and practical character. It’s built with no compromises.” he added. It is a stunning example of Peugeot’s engineering and innovation. It’s beautiful to look at with a cockpit to challenge the most luxurious aircraft, but it is also adaptable, elegant and impressive, so impressive that it walked away with the prestigious European Car of the Year title for 2017, the first ever SUV to have ever won this award. “Since 1858 all Peugeot vehicles have been branded with the familiar lion logo, chosen to represent the speed, agility, strength and grace of their vehicles. The tagline ‘Motion and Emotion’ represents the pure thought and ingenuity that goes into their designs, something which is very apparent in the new all-new Peugeot 3008 SUV” he said. “Being voted a finalist in the 2018 Wesbank South African Car of the Year competition is a huge honour and given that it was voted by an impressive panel of 26 Jury members of the South African Guild of motoring journalists makes it even more of an achievement.” Francisco concluded. The Peugeot 3008 SUV is a truly awesome, inspiring family car. Whilst treating yourself to great design, innovative technology and luxurious comfort, you get a car that, at heart, is beautifully functional and built for every possible lifestyle. This all-rounder will never let you down, no matter what you do with your day, it ticks all the boxes and is an easy, fun, reliable and impressive SUV – a worthy contender in the respected 2018 Wesbank South African Car of the Year competition.